Frog legs are one of the better-known delicacies of French and Chinese cuisine. Does the French have an influence over the Vietnamese in eating frog legs? Honestly, I don’t know. But one thing I know is the Vietnamese style of cooking frog legs is simply delicious and soothing to the palate. 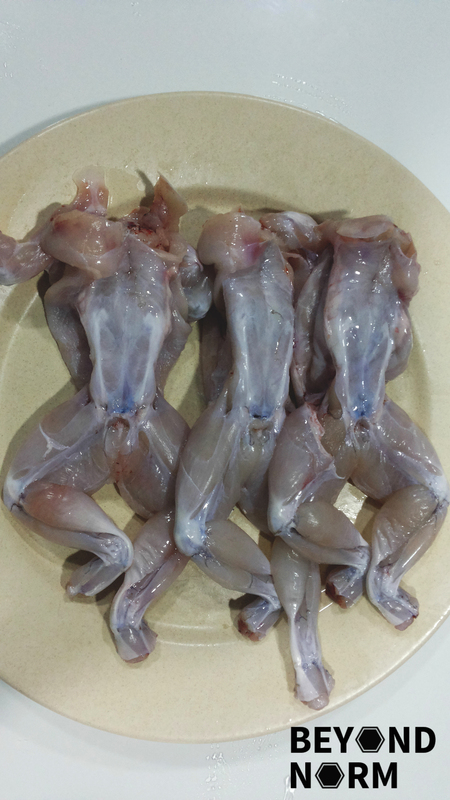 If frog legs are unavailable in the areas where you live or you are not keen on them, don’t fret. 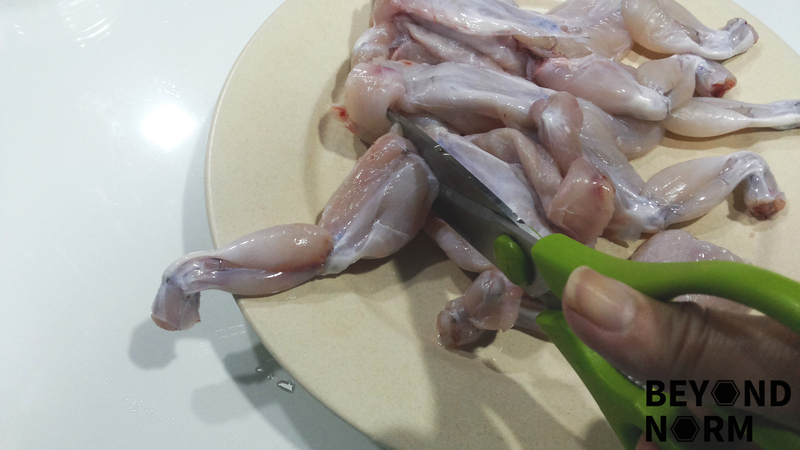 You can replace frog legs with chicken and it will taste just as good with this recipe. Happy hopping!! Cut the frogs into bite sizes. Rinse and drain the frog legs thoroughly. 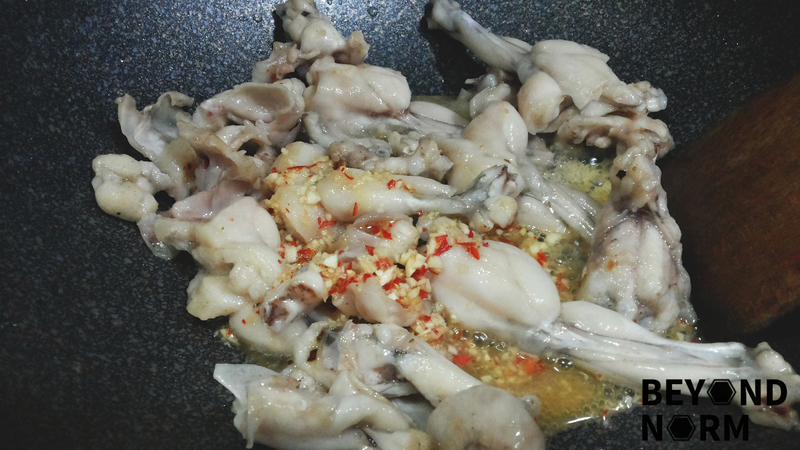 Season the frog legs with salt and pepper and set aside. Heat up non–stick pan with 2 tablespoons of oil and add in the chopped lemongrass. Stir fry till it is crispy but not burnt. 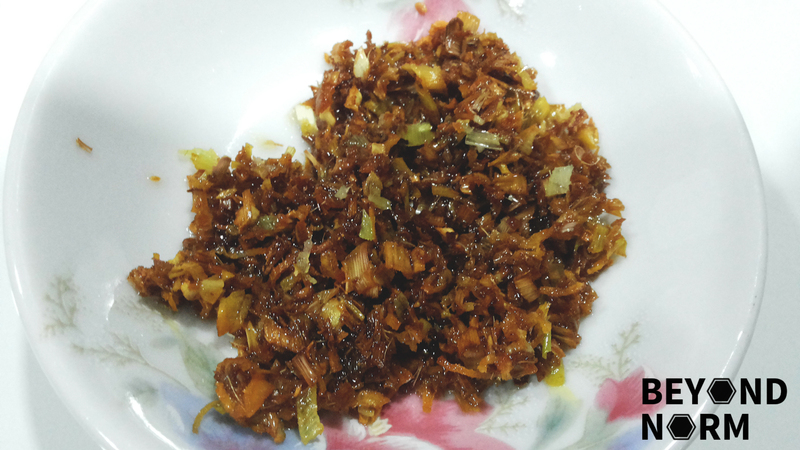 Whisk together the sugar and fish sauce in a bowl until the sugar is completely dissolved. Add in the chopped garlic and chilli into the sauce and set aside. Using the same pan that you fried the lemongrass, heat up 1 tablespoon of oil. Add in the frog legs and brown them lightly. Then add in the combined sauce (Step 8) and give a good stir to ensure that the frog legs are coated with the sauce. Cook under medium heat for a couple of minutes until the frogs absorb the tasty fish sauce and are cooked through. Next add in the fried lemongrass and give it a quick toss so that all the frog legs are coated with the lemongrass. Transfer to a serving plate lined with lettuce and serve immediately with rice.